To many the Holden Commodore is about as ‘true blue Aussie’ as thongs, vegemite, meat pies and kangaroo’s. With the announcement of Holden manufacturing in Australia ceasing at the end of the year, many are up in arms at the prospect of a re-badged ‘Euro’ Opel Insignia for 2018. However you might be interested to learn that Commodore has long held a strong European influence. Back in 1978, the VB Commodore hit showroom floors, replacing the Kingswood and Torana with a model that was sized somewhere between the two. The VB, and subsequent VC and VH models were all significantly based on a combination of the Opel Rekord and the Opel Senator. The story goes that during initial testing of the concept a test vehicle was driven through outback Australia where it is said to have broken at the firewall. As a result, significant improvements were made to the chassis, as well as modifications to both suspension and steering. Design cues throughout the rest of the first generation can be linked back to the Commodore’s European heritage, and whilst the VK and VL did move a little further from the original design, the resemblance is unmistakable. The second generation of the Commodore heralded a new era for Holden, as they finally had a car that matched the Falcon for size. 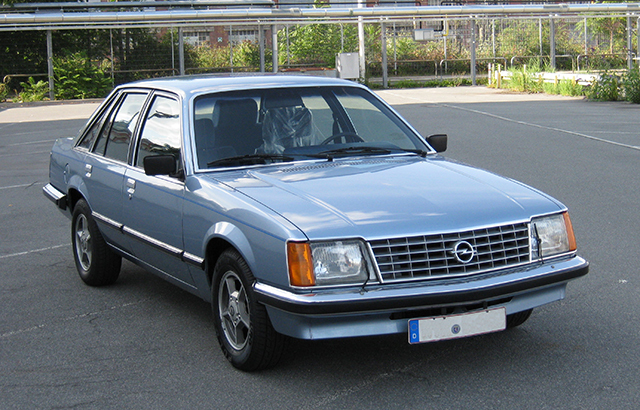 Once again strong design cues were taken from Opel, with the VN resembling the Opel Senator B and Opel Omega A. The chassis consisted of many components taken from the VL, which was then stretched, widened and strengthened to accommodate the increased sizing of the VN body work. The second generation Commodore would carry on through to 1997 when it was eventually replace by the all-new VT. The European connection would continue however right through to the VZ, with the third generation Commodore once again being based on the Opel Omega. It was not until 2006 with the VE model that Holden would produce a Commodore not heavily based on its European counterparts. The VE and updated VF were and continue to be a favourite amongst the Australian public, with models such as the SSV Redline and of course the HSV variants showcasing the best of Australia’s automotive capabilities. To the dismay of many, Holden will be winding up its local manufacturing this year, and whilst the 2018 Commodore could very well turn out to be a great car, it just won’t carry the same meaning to many as the Commodores of yesteryear. What are your thoughts on the upcoming Commodore? Will it be a fitting replacement or an imposter? Head over to the Rare Spares Facebook page and let us know in the comments section below.